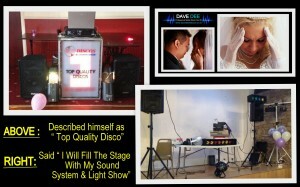 The entertainment chosen for a wedding party is responsible for 80% of the event’s success. 81% of guests say the thing they remember most about the big day was the entertainment. After the reception, 72% of all brides say they would have spent more time choosing their reception entertainment. 100% of brides say in hindsight they would have spent more of their budget on the entertainment. 65% of all couples that chose a band to entertain at their wedding said that if they had it to do over again, they would have chosen a Mobile Disco. 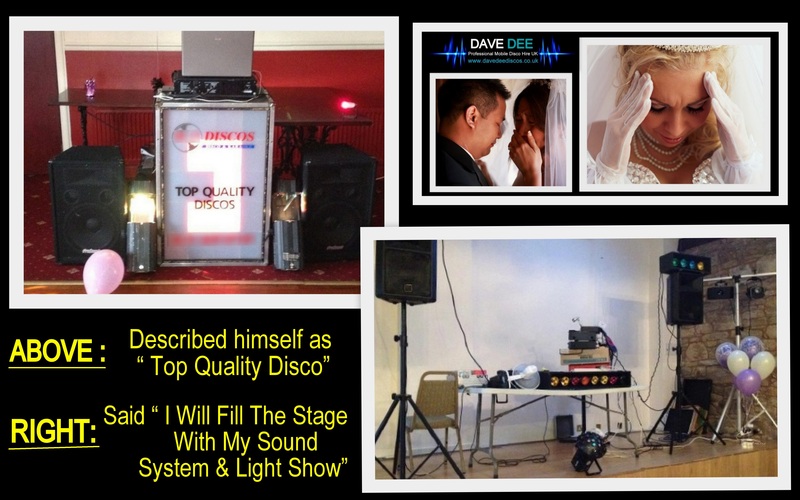 Dave Dee Discos chief priority at every event is to ensure our clients have a stress free evening that is going to be remembered for all the right reasons, all they have to do is relax and have a worry-free, enjoyable time.